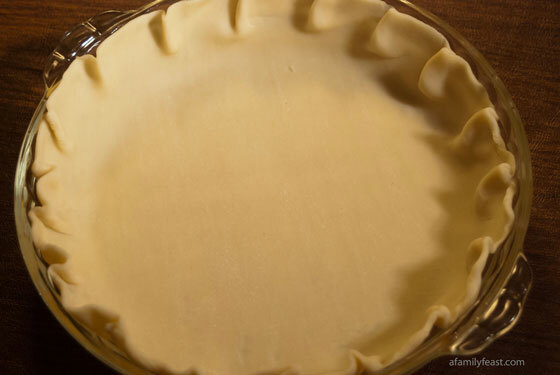 Follow this step-by-step tutorial to learn How to Blind Bake a Pie Crust! Some single-crust pie recipes call for ‘blind baking’ the pie crust, and this tutorial shows you exactly How to Blind Bake a Pie Crust. What does it mean to blind bake a pie crust? 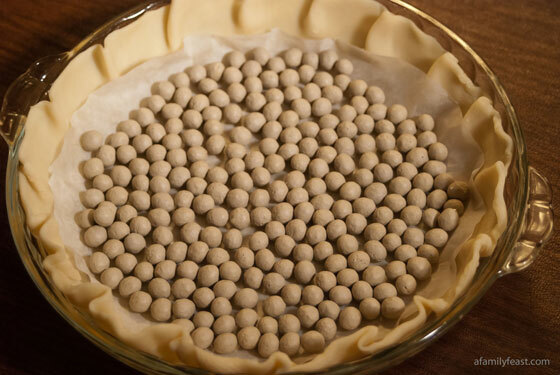 Blind baking means to partially-bake or fully-bake a pie crust before adding the filling. But, you can’t just line your pie plate with dough and bake it in the oven as-is. The heat from the oven will cause your pie dough to puff up as pockets of steam form in the layers of crust as it bakes. Why would I need to blind bake a pie crust? 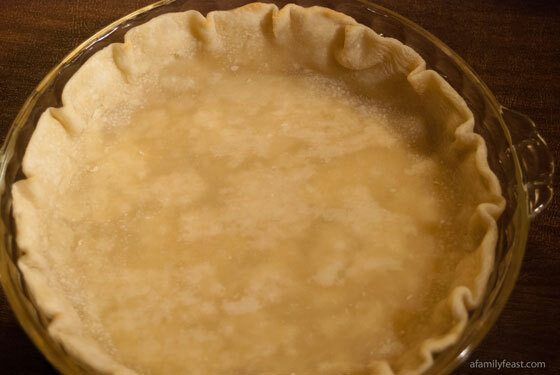 In the case of a recipe calling for a partially baked pie crust, this gives the bottom crust a head start in cooking, and prevents the crust from becoming too soggy once you add a very wet filling. 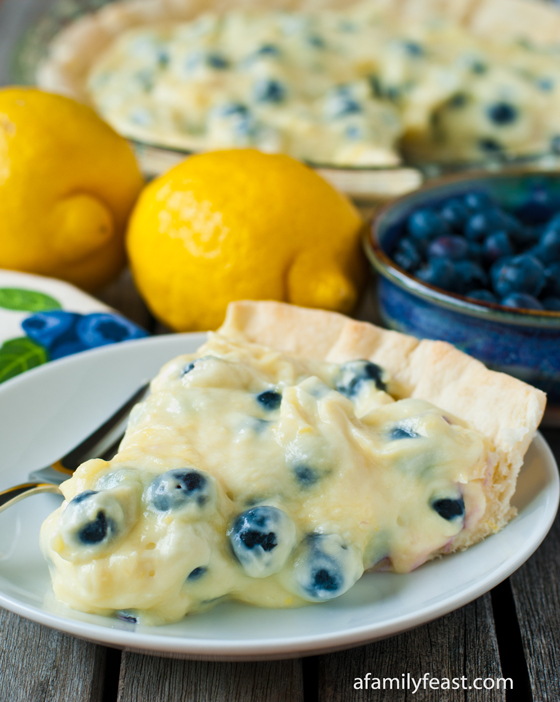 Recipe examples include as a custard for quiche, or a very juicy fruit pie. 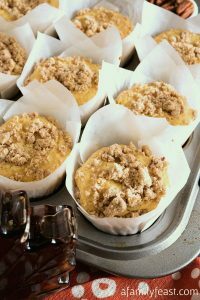 Without blind baking, the custard or fruit filling might cook, but the bottom crust will stay wet and never quite cook through. Other pies – typically those with a no-bake filling – call for a pre-baked pie crust or fully-baked pie crust on the bottom. Once the crust is fully blind baked through, allow it to cool completely, then add your filling. 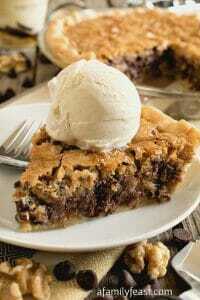 This cream pie is an example of recipe that calls for a fully-baked pie crust. How do I blind bake a pie crust? 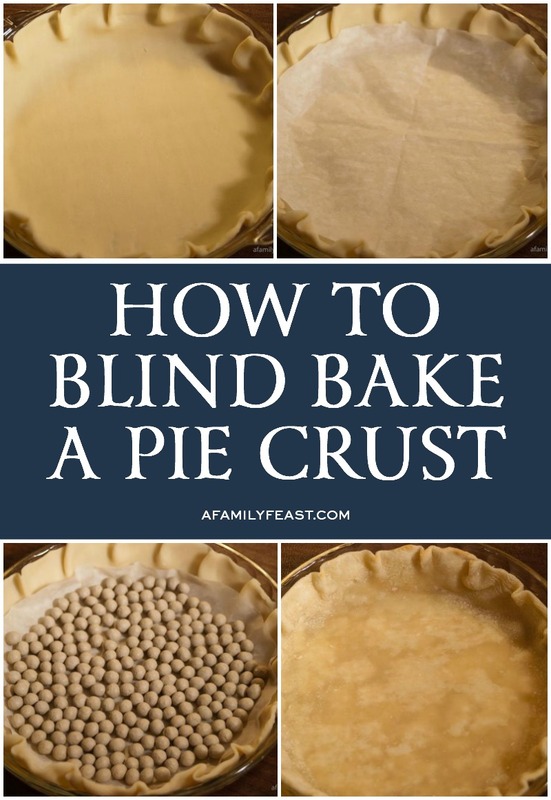 For the instructions below, we’ve used a prepared, refrigerated Pillsbury pie crust from the grocery store, but this blind baking method will also work for a pie crust made from scratch. 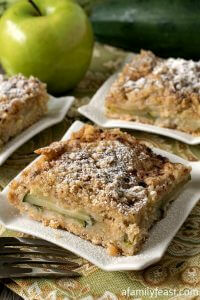 Place your pie crust round in the center of a deep-dish pie plate, crimping the edges. Ideally, you want the pie crust at a temperature to be pliable enough to work with, but not so softened that the sides will slump down into the bottom of your pie plate. 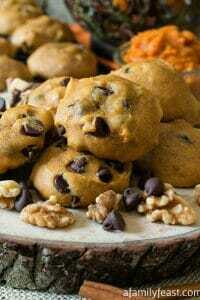 If your dough is very soft, refrigerate for 15-30 minutes to firm up before baking. 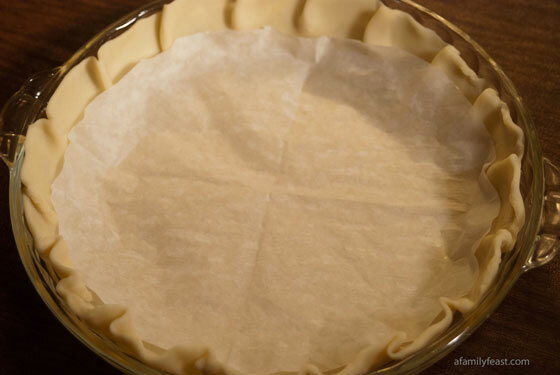 Cut a piece of parchment paper in the shape of a circle slightly larger than the bottom diameter of your pie plate and place it in the bottom of your crust. 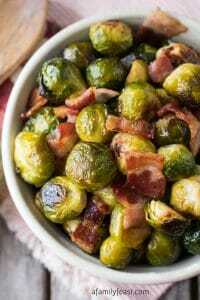 Fill with dried beans or ceramic pie weights or rice. 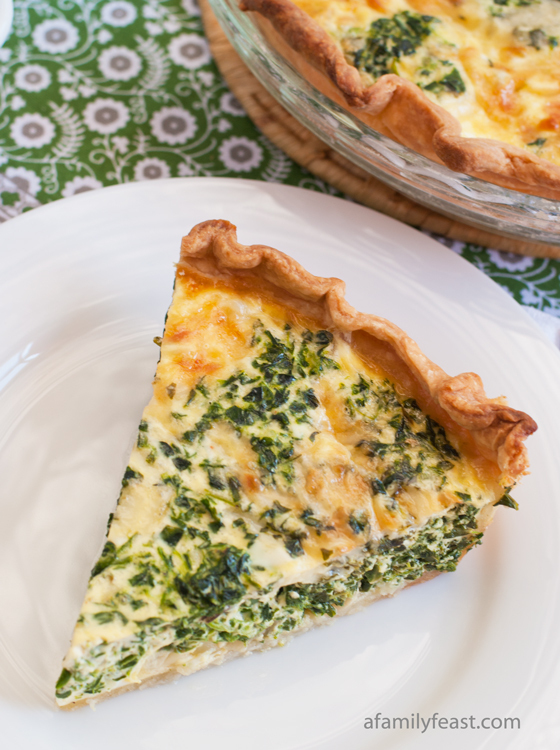 By weighing down the pie crust as you bake it, this will prevent the bottom from puffing up. 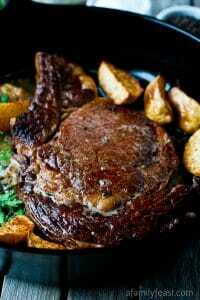 Additionally, this also helps prevent the sides of the crust from slumping down. For a partially baked crust (as I’ve shown below), bake at 450 degrees F for 7-8 minutes. For a fully-baked crust, bake for 10-12 minutes. 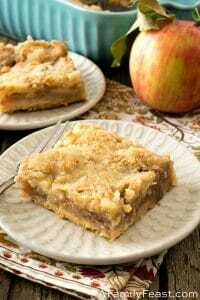 Note: Cooking times may vary based on the pie crust recipe you use. As noted previously, we have used Pillsbury refrigerated pie crust here, and the baking times listed are for that particular pie crust brand. 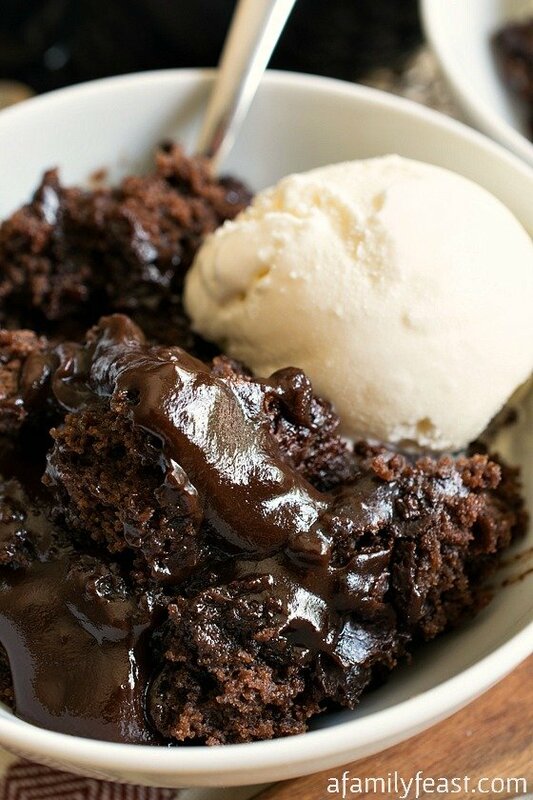 Let cool, then fill per your recipe instructions.